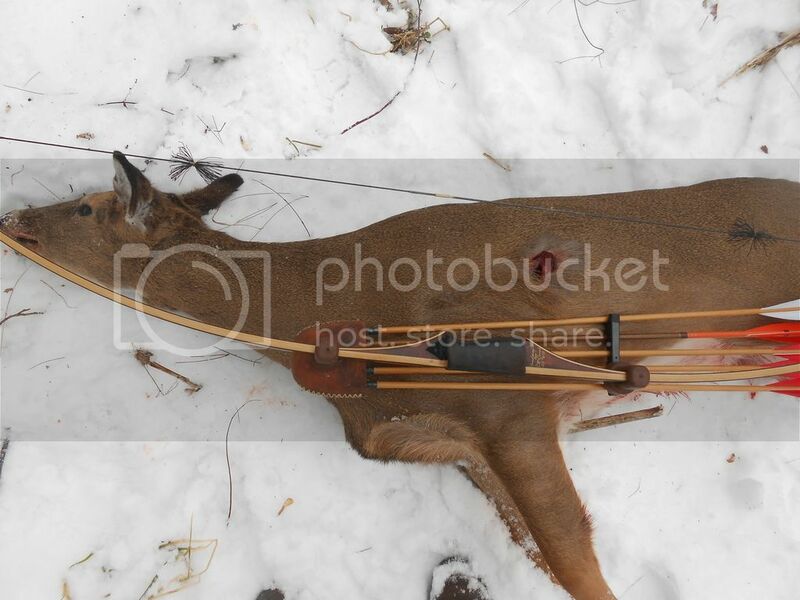 After several cold late season sits a nice doe presented a 9 yard broadside shot from my tree stand. 66" 55# Hill style bow made John McDonald of Big River Bows with a tapered cedar arrow with a 160 grain Simmons Tree Shark, 75grain Woody Weight. 35 yard recovery. Excellent shot! Like your set up! Simmons sure do a nice job! Nice big Doe. Good shot! 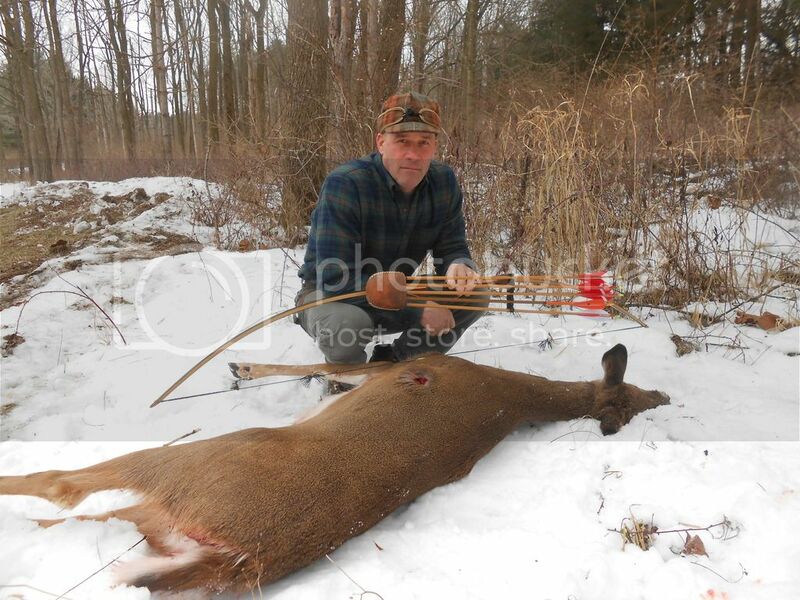 Nice mature doe congrats to you!! Love hunting in snow. Nice! Looks like that tree shark worked out nice. Well done on the harvest. In the pump house congrats! Congratulations ... Thanks for sharing!